Equus Solutions CIC delivers Equine Assisted Psychotherapy (EAP), an emerging field of psychotherapy which uses interaction with horses as part of a treatment to facilitate emotional growth and learning. The treatment method uses a team approach, encompassing a collaboration between the client and a skilled and qualified therapist, a horse professional and the horses. EAP is experiential in nature, and participants learn about themselves by taking part in activities with horses and then processing their feelings, behaviours and patterns. It is entirely ground-based with no ridden element. Individual sessions are £70 per person per hours session. If 6 sessions or more are booked the price is reduced to £65 per person per session. Group sessions are £45 per person per hours session. If 6 sessions or more are booked the price is reduced to £40 per person. Family sessions are £40 per person per hours session. If 6 sessions or more are booked the price is reduced to £35 per person. We have disabled access toilets, clear pathways and flat surfaces. Manager: Equine specialist in Therapy teams. Program and Project Control. - Volunteer management. Stable Manager: Equine specialist in Therapy teams, Stable Manager, Control and active role in therapeutic riding activities for AS clients – Volunteer management. Trainer: Equine lessons and Training – Equine Specialist in Therapy teams. Therapist 1: Mental Health Social Worker, member of Therapy teams. Conducting Therapy and Therapeutic Sessions. Writing Session/Clinical notes, feedback and recording Client progress and Outcome information. Therapist 2: Community Mental Health Nurse, member of Therapy teams. Duties same as above. Our organisation already has experience working with children, young people and families with a variety of complex issues including victims of domestic abuse, children at risk of expulsion from school, relationship breakdowns, coping with mental health conditions and/or learning disabilities e.g. children on the autism spectrum and teenagers or adults that are not in education or work. Each family and individual is different, therefore we always have a flexible approach to our work and are able to change planned sessions as and when needed. A child/family may come in one day and we continue with our plan or they may have a completely different problem or agenda on that particular day so our staff and programs are able to adjust accordingly, therefore providing a client needs led, flexible approach whilst still working towards the desired goal. With have links with local schools and often have pupils for therapy sessions and offer school activity days and group sessions. The experiential nature of our interventions, are designed to allow and facilitate the individuals/families to find the best and right way forward for them under the protection of the therapy teams. We believe people should be empowered to enable them to heal and work through issues, allowing them to take control, grow and find their own answers eventually and so our team of qualified mental health and equine experts are always client focused and have a variety of tools to enable people who have become ‘stuck’ work through and come out of the other side, enabling them to help themselves and in turn their family. We have discussions and counselling with both individuals and whole families, review regularly and conclude at the end of the interventions. We also have the option of continued sessions for those that wish to, though volunteering and time banking to earn additional sessions. Some of our outcomes include individuals who have gone on to volunteer with us and then gain an apprenticeship with a company due to the skills they have learnt and developed at Equus. Other individuals are able to attend school again and contribute to group tasks successfully. We realise that change happens for young people at different points in their lives. Each case is done on an individual basis depending on needs and we also look at the family as a holistic approach. We work closely with schools, the Learning Partnership, Victim Care Services, the Safer Stronger Consortium and other healthcare professionals. 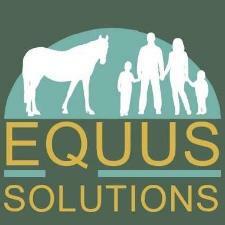 We also offer volunteering and time credit opportunities at Equus. We have policies and procedures in place for complaints. We are fully insured and our staff hold enhanced DBS checks, safeguarding and protection qualifications. Complaints can be made direct or via a third party if a client has come through a referral that way.